I'm a new pharmacy technician at CVS. I just finished training last week, worked one day at a random CVS because they needed help, and had my first real day at my CVS store yesterday. I was so overwhelmed yesterday. I got verbally abused by so many customers. Even though I was prepared for that, the thing that I don't like is that I have no idea how to help the patients when a problem arises. For example, I have no idea what to do when a patient asks me something related with insurance. The only thing I know is that if the medication is cheap, it probably went through insurance. Also when the phone rings, I don't know what to do when I'm speaking with the patient on the phone. I kept asking the other technicians to help me while I'm on the phone and they literally had to go step by step with me on the computer. But even then, the technicians do things so fast that I can't even learn anything. The only things I feel good at is when I'm at production, or serving customers who are picking up medications when no problems arise. People just tell me to hang in there and I'll learn on the way but it feels there should be more than that. I can't really tell if I learned much so far besides the cash register and a couple commands on the computer. Anyone have any tips on things I should do every time I pick up the phone besides "Hi, thanks for calling CVS blah blah"? I almost feel like quitting already. I'm applying to pharmacy school right now and I don't even know if this job is going to be worth it during my year off after graduating. FYI, I believe your work days, indeed, will get better or worse after your first day. For me, it got whole lot better after my first month at my store. It usually takes 2-3 months for a pharm. Tech. to get used to their work. So do loosen your worries and hang in their for a week or so and you will see yourself improving. Thanks everyone for the responses. I guess I will post some of the common scenarios that I've encountered so far. 1) Let's say a patient wants a refill on a medication sooner than the actual refill date (because they're going out of town or something). I go on the patient profile, but I don't know what to do afterwards. Do I just refill them right away if they have refills? If that's the case, how do I do that if I am on the patient profile screen? Also what if the patient doesn't have any refills left and they want a refill? What do I do then? 2) At drive-thru or pick-up, I see there are two medications in the WB but the patient is expecting to pick up three. Do I just ask what the third medication is and say that we will have it ready in 15 mins? If so, what are the commands on the computer to do that? 3) This one might be vague, but it's because I have no idea how to deal with this. Customer wants to check if a prescription went through insurance. He/She gives me the insurance card. How do I check if the medication goes through insurance? 4) Drop Off: I think I got the hang of this one, but I just want to make sure. Person drops off a prescription. I have to make sure it has: DOB, allergies, contact number, preferred pick-up time, if they want generic or brand, and if we have it in stock (for CII drugs). When do I have to make sure it has the person's address? Anything that I'm missing? Also if they say they can pick it up anytime and I say "about an hour," is that an appropriate time? I'll probably think of more scenarios if I remember some. Also if there's any common scenarios you guys encounter and can share how you handle those situations that would be extremely appreciated! Something I have picked up over the years is if you can't understand the name at pick up/drive-thru, ask for the date of birth. From the main screen, if you type, "asd,asd" (any three letters comma any other three letters) it will not find anything. At this point you can put in the date of birth. 03181989. If the patient has been to YOUR store before, their name will show up, and suddenly that think accent or mumbling will make A LOT more sense You cannot, however, just enter the date of birth from the main screen. Unfortunately, it will take time. If you lift the flap of the label on the bag on the right side, it will tell you what the medication is most typically used for. You will learn these as you go too, but for now it will cut back the questions you have for the other techs/pharmacist. Also, above the LARGE blue box that takes up most of the prescription bag label, it will say something like "medco," "tricare," "medicaid," "pdp9999" (a medicare plan), or "cash." Anything other than "cash" indicates it has been adjudicated through insurance. Additionally, you will sometimes see two things printed one on top of another such as "medco" above "mckesson." This means medco (the insurance) was billed, then the copay was billed to McKesson. That will help you understand when a patient asks if you used their coupon, whether or not it was billed properly. 8 times out of 10 if the patient's copay has jumped drastically, particularly after the third fill, they are required to use their third party's mail order pharmacy. If you have any other questions feel free to message me. I don't check threads often. I have been with CVS for almost five years. When I started there was no training program. They just threw you to the wolves and told you not to screw up HIPAA. I've been the lead tech in a training store for about three years now. Let me know if I can help you. I suggest taking a small notebook and make quick notes about different things throughout your shift. This can be anything from what screens you need to navigate for a specific task to inventory changes. This allows you to review and familiarize yourself with different things. This is EXTREMELY circumstantial. If the medication is a CONTROL, I don't care where they are going they CANNOT have it early. Period. Check with your pharmacist on the number of days leniency they allow. Also, it depends on how soon the medication is. If it is more than a week early, chances are the insurance isn't going to pay for it. At this point their options are to a) pay the cash price for the drug or b) pick it up on vacation. If they are vacationing within the United States, chances are there is a CVS in their area and the can have it transferred and filled when it is appropriate. The laws in some states vary regarding transfers. If the medication is a noncontrol and is only a few days early like say, Lisinopril, go into the patient profile. Hit "P" for profile. Hit "enter" to scroll through the patient's profile until you see the medication you are looking for. Once you find it, hit "x" once." Then select the number in the far left of the profile that coordinates with the medication. Hit "enter." At this point the screen should prompt you as if you were typing up the script at drop off. If the patient has no refills, the procedure is the same, but instead of appearing like drop off, the computer will prompt you to send a fax. Just follow the prompts on the bottom of the screen. If the patient is out of refills and wants it on the spot for vacation, TOUGH. They should be more responsible for their health. You'll toughen up here. You should have seen how worried I was for people in the beginning too! Do not promise anything until you know what is going on. Ask them what they were looking for. Maybe it isn't ready because it doesn't have refills, maybe it's too soon, maybe the doctor never called it in or the medication is over the counter. The process is the same as I described for number 1. I believe I addressed this in my previous post. I typically make it a point to know whether or not I have the drug in stock regardless of its classification. Deactivate the bomb before it goes off. No one likes being told to come back in an hour only to find out it's going to be the next day. If the prescription is a control, it must also be written on a non-white, tamper proof prescription pad per the DEA (at least in Florida). The date and quantity must be written out alpha-numerically (August 8, 2013 twenty tabs as opposed to 8/8/13 20 tabs). In Florida it must also be written by a a doctor NOT a PA or ARNP. The prescriber MUST have a DEA number, and it must be written on the prescription. Also, these are the cases in which the patient's current PHYSICAL (non-PO box) address must be written on the prescription. Additionally, controlled substance RXs expire 6 months from the date written, not one year like other RXs, and they can have no more than 5 refills (1 refill if written for a 90 day supply). Your typical "problems" are usually going to involve insurance (e.g. Price, prior auths, not covered) all of which you have little control. All you can do is assure the patient you have or will/can contact the doctor. This leads to another typical "problem," doctors don't always respond in a timely manner. Again, all you can do is keep contacting the prescriber from your end. Also, remind the patient that they too have a phone and could possibly expedite from their end. Pharmacy would be a lot easier and run a lot smoother if there wasn't insurance involved and doctors would respond to pharmacy requests. No matter what tho, in the patients mind, it's always the pharmacy's fault lol! Incorrect. Just type ",DOB" and you can search using the DOB right from the main screen. The trick is putting a comma before the DOB. You are welcome. EDIT: This is literally the only way I ever search for a patient. I feel like I am WAY more likely to pick the right patient by searching for the DOB and THEN selecting their name from the list than trying to guess how they spell their names or asking them to spell it for me and then trying to find their name. Faster too. I agree with the person who said to use a small notebook to take notes on. I have posted advice on this exact topic several times, maybe try searching for some of those posts. The date and quantity must be written out alpha-numerically (August 8, 2013 twenty tabs as opposed to 8/8/13 20 tabs). Actually as I recall it must be both written out in both letters and numbers. Perhaps this is what you meant by alpha-numeric, in which case your example was unclear. I hardly ever see this done though. Wow, thanks everyone for the replies. It really seems helpful and hopefully I can use these things when I work. I will ask more questions after my next day of work heh. The thing about bringing the notebook, I did try bringing one. The problem was that the workflow was so fast that I couldn't even write many notes down. Even the other technicians said it would be hard to take notes and work at the same time. Apparently I am working in one of the busier CVS stores. You can do it with just one. It takes a while to acclimate to the job. I have been working as a tech for over a year now at cvs as a tech and I have had people tell at me and even throw gum at me. It doesn't get better you just learn how to do your job. Should I even keep this job? It really sounds like it's not worth it during my year off. 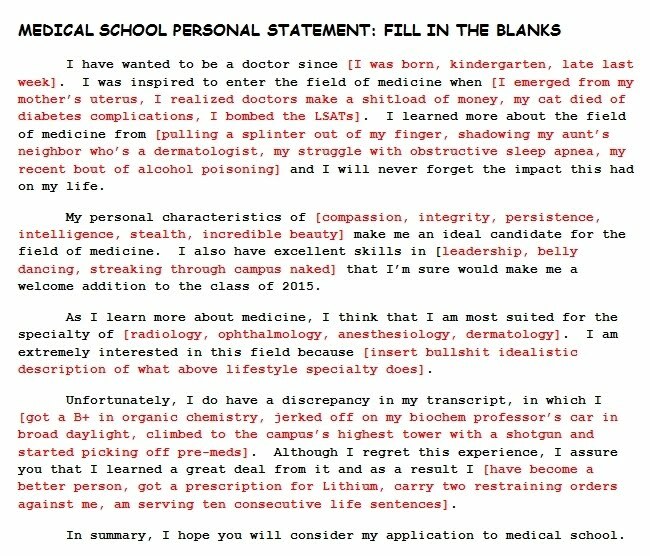 I thought it would make my application look a little better for pharmacy school if I had a pharmacy job during my year off. Just hang in there! I was in your shoes a couple months ago but now i got the hang of it! I still ask questions though so dont feel like you have to know everything right away!! Yeah I guess... It's just that I am applying to pharmacy school right now and I don't know how much this job would help for my application. Also I thought of another question. If someone on the phone is asking if we received a new prescription for a specific patient, I search the patient and check the status and profile right? If it's not in the patient status or profile, then it means that we did not receive the prescription right? its hard. but keep going. don't take people's attitudes too personally and take ever mistake as a learning opportunity.It took me a good 6-8 months to get as good as am I now, where im not struggling and asking questions every 5 minutes. Keep at it you will get better with time and actively learning. Keep the job! I felt like quitting for my first few weeks and even months during my first tech job (small hospital) .. just because everyone is so busy and I was left to kind of fend for myself and teach myself. In the end when you become an expert on the workflow, you'll be able to put your energy into customer service and patient care and it will feel really good to be able to fix problems independently or to help make someone's day a bit better through efficiency and a positive attitude .. first you need the basic competencies.. you'll get a little better each day. Don't give up! I have similar problems every time I rotate to a different company. Feel completely lost for the first week or two usually. Thank you everyone for the helpful tips. I am in a similar situation as the OP, but have been on the job a month or so. I've found that doing some of the required LeaRxnet training modules makes more sense after actually being in the pharmacy for a few days. If you haven't done any in a while it makes a lot more sense seeing the computer screen portions. After difficult patients I've learned laughing it off afterward or focusing on remembering the funny/nice patients and situations throughout the day makes it more worthwhile. Maybe I'll change my mind in six months though, lol. Yeah, I did notice that Learnxnet thing makes sense later on after a few days. Also with difficult patients, I don't take it personally and I always try to stay professional. I just get nervous when I don't know how to fix their problem because I still want to be able to help these patients. It also doesn't help when the Pharmacy Manager is like a hawk and keeping an eye on everything that I do. Is it reasonable to work for 6 months and then quit to enjoy the rest of my year off as much as I can? I started this month so I would plan to quit around February or March? Or should I quit later? I'm not saying that I'm already planning the day that I will quit. However, if for some reason I just cannot stand working at CVS anymore, is working for 6 months reasonable? Or maybe 9 months? If quitting after 6 months looks bad, then what about going back to the clinical pharmacy that I volunteered at after quitting CVS? I LOVED volunteering there, and working at CVS has been really stressful so far these past weeks. Working at CVS has been a teeny bit better just because I am getting used to some things, but I'm still really stressed out when I work there. I also know for sure that no matter what, I do NOT want to be a retail pharmacist in the future. CVS is rough...no way to get around that. I worked for them for four years before taking a tech job in a high-volume outpatient hospital pharmacy and I'm so glad that I did. The number one slice of advice I can give you as a 10+ year pharm tech veteran is to go as slowly as you need to in order to perform correctly. Your co-workers will be much easier on you if they don't have to correct a million mistakes because you were trying to perform too many tasks at one time. Customers will come and go but you have to see the other techs and your pharmacist on a daily basis. I know this is a dumb question but i am new with cvs and still trying to learn...how do u process insurance stuff for flu shots? for example blue cross blue shield? I always see the rejection message" vaccine not covered by prescription benefits"...how do u solve this? For some plans you have to use the medical side (your store should have a list of plans like this and what condor code to use for billing). For others you have to put "MA" in line 7 of the A->T1 field. For others you have to use the diagnoses code V04.81. Other times they really are not covered at all and then the patient has the option of paying cash. 1) If i get a lot of rejections that says something like "M/I Cardholder ID" or "M/I DOB," then we would have to call insurance to figure it out right? That is assuming we tried putting in the most updated insurance information in the profile. 2) If a patient is going out of town and refill is too soon, then we also call insurance to see if we can get an exception for that patient right? 3) If it goes through insurance and patient asks "why did it go up in price?" Then it's just because insurance covered less of the medication right? Pricing is all done by insurance? I guess my biggest confusion is that I don't know if we are the ones supposed to call insurance or if the patient is the one that has to deal with it for certain situations. My other confusion is when a patient is explaining a situation that he/she discussed at an earlier time or day with other co-workers and I have no idea what happened. 1. Recheck first and make sure you didn't make mistakes. Sometimes you have to ask as well, since sometimes they know their birthday is wrong with their insurance. I had a patient today who had her name spelled wrong on her primary and it was spelled correctly on her discount coupon. We had to call both to fix it. 2. Depending on the medication, you do have to call to get that approved. That's not a guarantee though. 3. You're half right. Sometimes the insurance company is covering less of it or the manufacturing price changed or they have some sort of deductible they must meet so the price changed. I've tried to follow both of the above methods and have had no luck. The only thing other than no results that has come up is that there are too many results to display. This is from the RxConnect Screen at drive-thru or pickup right, not just the main screen? Sorry, for the register you do have to use the first thing letters of the first and last name. Didn't mean to confuse you. 1. The first thing I do when I get those QT errors is ask the customer for their most recent insurance. 9/10 its cause the id number change when they changed their plan. They will swear that nothing has changed and its your fault its wrong. If everything checks out you then can call the pharmacy number on the back of their card to get the info you need. My advice is to learn insurances inside and out. This will save you alot of time and lip from the customers. 2. Depending on your state law you may or may not be able to fill a control early. As for maintenance meds most insurances allow you to manually overide it if its within 3 days. Again learn how the insurances work. I can explain more on the over rides in detail if you want to message me. If you still cant overide from your computer then you can call. 3. Yep they send us a copay cost as soon as we send it. If they have medicare part d then most likely they are in the donut hole. For others sometimes they change their formularies on what they cover or how much they cover. I know most tricare tier 2 went from 12 to 17 back in February and I got a **** storm from customers about that. To your last question, try to find any notes that the othet co woker left or ask the pharmacist. If its a simple rebill then you can do that. Other than that tell them when they can come back to speak with your co woker who helped them if they like. CVS is the most miserable imaginable place to start as a pharm tech. Seriously. I have met several girls who started after me who broke down crying after their first day and transferred up front because they couldnt handle the pharmacy. One thing to remember, ask alot of questions and if you forget the answer, ask again! After about 6 months you should be solid on your feet with only more complicated questions giving you trouble. you can do it, just dont get discouraged. There should be a small pamphlet that they fill out the information about the workers comp claim. I don't know if your store has the new ones yet but mine just got them in about a month ago and now all that we require is there name,DOB, and Social Security number. Then there is a BIN# on the bottom of it that you bill their prescriptions to and you will use their SSN# as the ID. It should then have a $0.00 copay on it. Okay so workers comp is name, DOB, and SSN in a pamphlet thing. Thank you for the response. Also I forgot to ask about iPledge. What is that? How does that work? Is all I get from the patient is their iPledge number? Then there's something that I see my co-workers do on the computer for the iPledge thing. Also, is Claravis the only medication that is related to iPledge. Thank you gnhackman, that clears things up. I also have a few more questions. They may be kind of vague though. 1) There was a situation where there was a rejection with a medicare part D and the rejection said to ask for a new ID. I was on the phone with that patient, but a co-worker saw me with that rejection and told me to give the phone to him because he knew what was going on with that patient. When I gave him the phone, he was asking for the patients SSN# and stuff. What is different between the information needed to fill prescriptions through medicare part D and regular insurances? 2) This is probably very simple but when I call another CVS to transfer a prescription to my store, the prescription I ask to get transfered always gets put on hold. Is there something we are supposed to do on our end to get it off of on-hold status since we can't transfer something that's on hold? 3) I overheard a co-worker say to a patient that one of their prescriptions has a high co-pay for something that is usually cheap, so that means they must have a deductible. I don't really understand how deductible works, and how do you know if that person has a deductible? 1) You can run an eligibility check for Medicare Part D. You should ask someone to show you how to do this. It is very simple and will have to be done many times in the next few weeks. 2) No. Assuming they are faxing you what you need transferred they should then be deleting the script, not putting it on hold. 3) There is no way to know if someone has a deductible. They would need to call their insurance to know. Oink, in regards to your third question: I believe this may have to do with random drug prices rising the 1st of this year. A few drug's prices have sky-rocketed due to the healthcare reform, which is ending up in an increased price on the patient's end because their insurance company will still only pay a certain percentage. This has been an extreme shock to many patients this year. Okay I'm getting those things now. Now I have a question about doctors calling to add more refills to a prescription. Are techs allowed to do this? All I do is get the name of whom I'm speaking to, # of refills, and time and date of when the call was made right? At my store I was told I can do this, but at another store I was told I have to give the pharmacist the phone. What's the proper way to do this if a doctor is calling in refills? This all depends on the pharmacist you are working with. Some pharmacists are okay with technicians doing this and some aren't. Technically, the rule is: you have to be a nationally certified technician (by PTCB) in order to take medication orders from doctors. Always ask the pharmacist you are working with if they are okay with you doing this though. The pharmacist is responsible for everything in the pharmacy, so if an error is made, it can an dwell reflect on them. I let my techs do it. I have never heard the bit about needing PTCB. I would suggest that in addition to being RPh specific that it is also state specific. I know in some states techs can even accept/give transfers. I have been in your shoes before. When I first started, I had zilch, zero pharmacy experience. I hadn't ever step foot inside a pharmacy except when I went to pick up a prescription! I had no clue what to do when an electronic script was received. But, thankfully, I had and still have a wonderful lead tech to show me the rope and that's what I hope to do with my post today. I, too, wanted to leave CVS after a few months because it was so overwhelming. All the previous posters have very good advice and I agree that you should write everything down. I wanted to address some of your questions one-by-one. I'll also add some tips that I've picked up while working. 1. When you get an insurance rejection that says M/I Cardholder ID or M/I DOB, that means something was entered incorrectly on our end. To rectify this, you would have to call the help desk (usually an 800 number) and they will be able to give you the right information in order to process the claim. 2. When a customer requests a vacation override, you got to remember to ask them where they're traveling to, and the date of departure and date of return. Insurance companies will only allow a vacation override if the customer is going on a cruise or out of the county. If they are traveling domestic, then you would have to inform them that they can get their prescription filled at any local pharmacy in the city they are in. 3. When a customer asks you why their copay has gone up, the only things you need to tell them are a) the medication went up in price and b) they might have a deductible. If they still are asking questions, then you tell them that the price is what the insurance wants CVS to charge and he or she must call the insurance company for further clarification. 4. If you want to put a waiter in, you go to their profile, type "X" then enter, select the number corresponding to the prescription they want to fill. then you go all the way down to number 15, type "1" then go down to number 16 and type "W15". This command will instruct the computer to highlight the prescription in QP as yellow. 5. When you are working at drop off, remember to obtain DOB, address (for control re's), phone number and allergies. When asking for pick-up time, I always say, "What time would you like to come back?" A lot of customers will say, "You tell me." then I would say, "How about later this afternoon?" 6. I don't know how it works at your CVS, but at mine, we usually put antibiotics for 1 hour since patients usually come in sooner for those. 7. Remember that the days supply for a Medrol Dosepak is 6 and the days supply for a Zpak is 5. It takes me 1 year to know a lot of things and I still dont know everything...the hardest thing is dealing with insurances...it takes time to gain expererience on that. There are a million reasons why insurances made a rejection. Don't be offended by the customers. Customers are frustrated when their meds are not ready..they are sometime very sick and can not afford to pay. What I do is I put myself in their shoes and try my best to help them. At the end even if you can not...you know you tried and don't take anything personal because we probably would do the same if our diabetes medications cost us $150 even with insurance. :/ Dont panic. If you dont know something, ask. But this post was back in 08/2013. I am sure you have learned a lot and are having no problem dealing with patients. Good luck! Thanks for the advice guys. But back to the refill renewals, all I do is get the name of whom I'm speaking to, # of refills, and time and date of when the call was made right? If it is a controlled medication then I give what I wrote down to the pharmacist after I hang up on the doctor right? What do I scan for the refill renewal? I'm asking here because it gets so busy at my store that it's impossible to ask questions anymore. Can someone tell me how to properly take in a refill renewal from a doctor? Thanks! CVS's policy is that they will handle tthe cost and send it to their worker's comp. But if the claim was not legitimate, then they will send the bill to the person. LOL you don't take doctor calls, only pharmacists/interns do. If your pharmacist is letting you take doctor calls, he is breaking the law.